Hackers belonging to the Anonymous collective have compromised an online database of Intelligent Transportation Systems (ITS) Society of Canada and leaked personal data of government officials. The leaked data include names, email addresses, phone numbers, and partial credit card information. 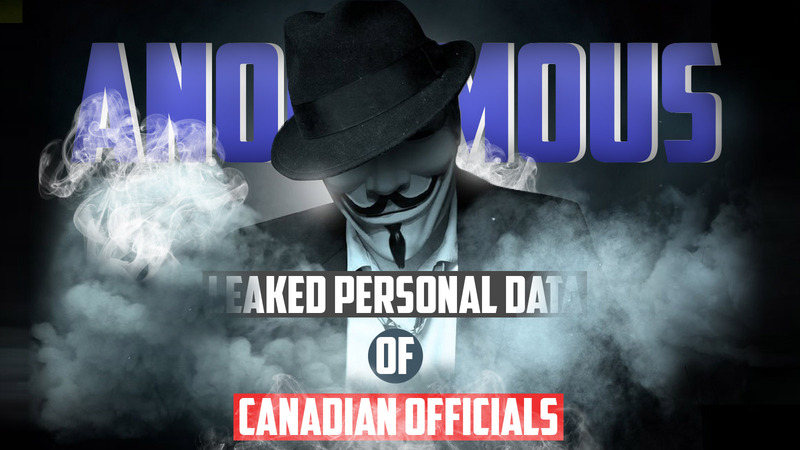 Janneke Poelking, Administrative manager at ITS Canada said, her group "was made aware of the hacking of our website by a member of ITS Canada. We are working with Biz-One (developer of the ITS Canada website) on this at this moment, and this is all that I can say." Anonymous hackers claimed that everything in the database was stored in plaintext (unencrypted). They said the leak was in "retaliation for the passing of Bill C51”-- a controversial piece of Canadian anti-terrorism legislation recently signed into law. Do you care about your privacy? Here is how to protect it: Xprivacy- A Must Have App For Hackers (Android).